Grigor Palikarov (born in 1971 in Plovdiv) graduated the National School of Music and Dance Art “Dobrin Petkov” – Plovdiv with the specialty of piano with excellent grades and golden badge award in 1990 and then he graduated the Music Academy “Prof. Pancho Vladigerov” in Sofia with Master’s degrees in four majors: Opera and Symphony Conducting under Acad. V. Kazandzhiev and Prov. Iv. Vulpe; Composition under Prof. D. Tapkov, Piano – under Prof. Kr. Taskov and Choir Conducting under Prof. St. Kralev. He specialized in Composition within two summer courses in Austria with Prof. Erich Urbaner from Vienna University of Musical and Performing Arts. His debut at the opera stage was when he was still a student (at the age of 22) and conducted Rigoletto in the opera theatres in Pleven and Stara Zagora. His professional career as a conductor began in the Symphonic Orchestra of the Bulgarian Army Ensemble (1995 – 1997) and from 1997 to 1999 he was Chief Conductor of the Ensemble. In the meantime, he also took the position of conductor and chief artistic director of the renowned Youth Philharmonic “Pioneer” (1998 – 2003). His debut at the National Opera and Ballet Theatre – Sofia was in 1998 when he conducted a Gala Concerto of Gena Dimitrova by her personal request. Since 2001 he was appointed fulltime conductor of the opera and currently his repertoire includes more than 55 opera and ballet works. Since season 2005-2006 Grigor Palikarov is also the Chief Artistic Director and Conductor of the Symphonic-Opera Society at the National Music Academy “Prof. Pancho Vladigerov” – Sofia. 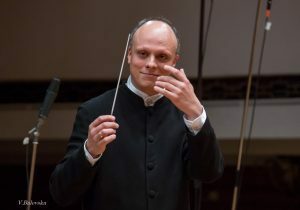 At present, Grigor Palikarov is a frequent visiting conductor of a number of orchestras and opera theatres among which are: Symphonic Orchestra of the Bulgarian National Radio, Classic FM Orchestra – Sofia, of which he is also a permanent conductor since season 2008-2009, Sofia Philharmonic, Festival Orchestra – Sofia, the national Operas in Plovdiv, Burgas, Varna, Ruse and Stara Zagora, the Pleven Philharmonic, etc. A special place among his multiple conducting performances is occupied by the numerous studio records of various works with the Symphonic Orchestra of the Bulgarian National Radio, along with his participations in prestigious national and international music festivals such as Sofia Music Weeks, March Music Days, Laureate Days “Katya Popova” – Pleven, Austrian Music Weeks, New Bulgarian Music, Winter Music Evenings – Pazardzhik, Opera and Ballet Festival – Varna, Contemporary Music Festival – Pula, Croatia, May Opera Nights – Skopje, Macedonia, Dyuni Festival – Matera, Italy, etc. In October 2014, Grigor Palikarov had two concertos with the orchestra of Classic FM Radio at the prestigious Alte Oper (Frankfurt am Mein) from the programme of the festival of European Culture Days organized by the European Central Bank. Grigor Palikarov regularly performs abroad in countries like Germany, Austria, Belgium, France, Italy, Luxemburg, Russia, the USA, Slovenia, Greece, Poland, the Ukraine, Taiwan, the Netherlands, Great Britain, Portugal, Mexico, Korea, Japan, Uruguay, etc. He has conducted the Royal Belgian Philharmonic – Brussels, the national Opera and Ballet – Ljubljana, Vienna Chamber Ensemble “New Tone”, Century Symphonic Orchestra – Taipei, Cleveland Opera – the USA where his debut was marked as one of the most important music events for 2009 in the state of Ohio, the Krasnoyarsk Opera and Ballet – Russia, Yanacek Philharmonic – Czech Republic, Czestohowa Philharmonic and Varmino-Masuric Philharmonic – Poland, Symphonic Orchestra – Bari, national Orchestra (SODRE) and the National Choir of Uruguay, Magna Grecia Orchestra – Italy, Dnepropetrovsk Philharmonic, Yucatan Symphonic Orchestra and Monterey Symphonic Orchestra – Mexico, Thessaloniki Symphonic Orchestra, and many others. Along with his activity as a conductor, Grigor Palikarov composes, performs in concerto playing the piano and teaches at the National Music Academy “Prof. Pancho Vladigerov” where he successfully pursued his Ph.D. degree in Music Studies and Music Art in 2017. Some of his works are being performed at a number of festivals and have been recorded many times. He has won many national and international awards for his successful performance as a composer and pianist at the competitions “Svetosalv Obretenov”, “Albert Roussel”, The Music of the Earth, etc. Three-time laureate of the prestigious award Crystal Lyre of the Union of Bulgarian Musicians and Dancers – 2002, 2012, and 2017, as well as of the ward the Golden Feather. Within two mandates, Grigor Palikarov has been the Chair of Mensa-Bulgaria – the branch of the worldwide organization of people with high IQ. Kaloyan Russev Rusev was born on November 24, 1998 in Varna. He started his musical education at the Nursery School “Dobri Hristov” in the cello class of Mrs. Daniela Kirilova, and later in the class of Mrs. Vanya Nikolcheva. He has participated in numerous concerts in the country and abroad, as a solo and ensemble performer. In 2015, 2016, 2017 he is a soloist of the Varna Philharmonic Orchestra. From 2017 he began to study at the NMA “Prof. 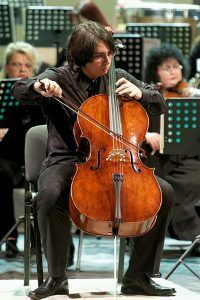 Pancho Vladigerov “in the Cello class of Chief Assistant Dr. Atanas Krastev.In 2018 he is a soloist of the Academic Symphony Orchestra of the National Academy of Music “Prof. Pancho Vladigerov “. He also participated in a number of master classes of professors from Bulgaria and abroad, including Prof. Anatoli Krastev, Bulgaria; Lachezar Kostov, leader of “Baltimore Symphony Orchestra”, USA and Prof. Razvan Suma – Bucharest, Romania.Kaloyan Russev is Laureate a number of competitions, including: 2018 – MC “Hopes, Talents, Masters” – Dobrich, Bulgaria – Second Prize; Eighth Academic Competition for Chamber Music at the National Academy of Music “Prof. Pancho Vladigerov” – Sofia, Bulgaria – First prize (with Nikolay Zhelyazkov, piano) This year he became a laureate of the Dobrin Petkov MK – Plovdiv, Bulgaria – Second prize. Honorary Citizen of Brasília, Cláudio Cohen is a Conductor and Violinist, and has been performing frequently in Brazil and abroad as Conductor; Soloist; and chamber music player. He is the Conductor, Music Director and one of the founders of the Symphony Orchestra of the National Theatre of Brazil OSTNCS, where he was the Spalla for many years. 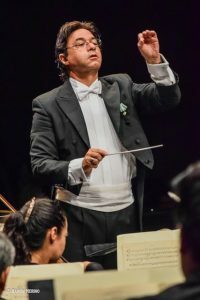 He is one of the most demanded conductors of Brazil, performing every year with the main Orchestras and participating in the main Music Festivals of Brazil. He is Member of the Brazilian Academy of Arts and Letters and former member of the National Committee for Cultural Projects. As a Violinist of the Brasília String Quartet, he has been touring in Brazil, Asia, Americas and Europe; and recorded 9 CDs. Received many awards, including: Sharp Prize – Best CD; VII and IX Carlos Gomes Prize; OK of Culture Prize; TIM Music Prize. Honours: Laureated as one of the most proeminent personalities of Brasília – 2012; Merito Expressão Nacional da Academia Internacional de Cultura; Medalha do Pacificador (Exército Brasileiro); and many others. Maestro Claudio Cohen has been conducting several orchestras internationally, mainly in Italy, Austria, Germany, Spain, Portugal, Hungary, Czech Republic, Argentina, Mexico, Serbia, Ecuador, and Qatar. Filippo Conti studied at the “Cherubini” conservatoire in Florence, where he worked with M.Vavolo, Professor of Piano,P.L.Zangelmi, Composition and A.Pinzauti, Orchestra Conducting.He also studied choral conducting with Roberto Gabbiani (main choir conductor in Maggio Musicale Fiorentino, Teatro alla Scala, Accademia di S.Cecilia in Rome). He also attended orchestra conducting courses with Piero Bellugi and Isaac Karabtchevsky. He collaborated as a musical assistant with Alessandro Pinzauti in several opera productions at the Opera Theatre in Rome, in Pisa, Siena and Prato theatres, and many others. 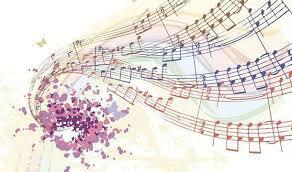 He also worked as a musical assistant in opera productions in Rotterdam and Munchen. He started as a conductor with Florence Simphonietta, Orchestra da Camera Fiorentina, Chamber State Orchestra of Zilina, Orchestra Sinfonica di Grosseto, Orchestra Città di Ravenna. He has been invited several times by ORT Orchestra della Toscana, where he presented a new work by the living author Carlo Galante, “L’Elefante di Annibale” and a new production of L’Histoire de Babar by Francis Poulenc with Marianne Pousser as an actress. He has also worked with Rostov Philarmonic Orchestra with Natalia Trull as a soloist, Bratislava Chamber Orchestra, St.Petersburg Philarmonic orchestra (the National Philarmonic one), Radio-Television Symphony Orchestra of Belarus in Minsk. He has been invited several times in L’viv (Lemberg), where after some successful symphonic concerts he did his debut as an opera conductor at the Opera Theatre with Nabucco. After he conducted other Verdi operas in Lemberg and Dnepropetrovsk, Un Ballo in Maschera and Aida. He was involved in 2012 and 2013 as a second conductor in PratoEstate festival about productions of La Boheme and Turandot. He conducted in Pistoia and San Gimignano a scenic production of Carmina Burana, and, at the Teatro dei Rinnovati in Siena, Tosca in 2016. Recently he has been working since 2017 with Domenico Scarlatti Chamber Orchestra in Pistoia, with whom he has done several concerts. With the pianist David Boldrini he has recorded last year three forthcoming publication cd with rarely performed concerts by Boccherini, Johann Christian Bach, Clementi, Kozeluch and others authors between XVIII and XIX century. In January 2019 he has done his successful debut in National Opera Theatre in Tbilisi with La Traviata. Giuliano De Angelis graduated with celebrated cellist and pedagogue Marianne Chen. 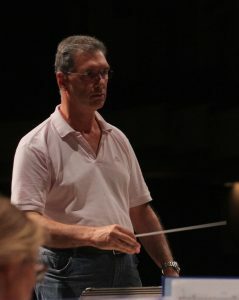 Among his most recent engagements as soloist, he played with many Italian orchestras: Orchestra del Teatro Vittorio Emanuele di Messina, Orchestra del Teatro Cilea di Reggio Calabria, Orchestra Filarmonica Campana, Orchestra Sinfonica di Salerno Claudio Abbado, Mozart Italian Orchestra, Ensemble Accademia degli Orfei, Interamnia Ensemble, in Italy and abroad (he has recently returned from an important tournee’ in China as soloist). His forthcoming engagements include an American tournée with Saint Saens cello concerto n. 1. He worked with such celebrated artists, as V.Repin, R.Muti, R.Vlad, D.Renzetti, R.Filippini, I.Pogorelich, A.Carbonare, I.Abdrazakov, Y.Grubert, D.Conti, and, in chamber music, with B.Canino, A.Allegrini, F.Meloni. 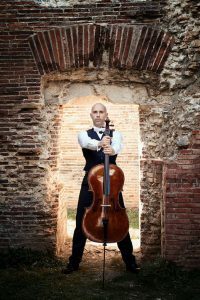 He is principal cellist of many Italian orchestras. His most recent recordings was made for Bongiovanni, Rai Trade, Medusa Film, Mediaset, Fabbri Editori. He has collaborated with world renowned jazz players, as Galliano, Di Battista, Bosso, Mirabassi, Rea. He studied cello with E.Bronzi, F.Pepicelli, L.Piovano e M.Polidori, and chamber music with A.Spiri, M.Zuccarini e Quartetto di Cremona. He is Artistic Director of Festival di Maggio in Campania (Italy).